The legendary 56-year-old has never been defeated since the World Series of Darts was introduced in 2013, claiming three previous Sydney titles and two Perth Darts Masters trophies in a 20-game unbeaten run. He extended that to 24 matches and a fourth straight win in Sydney in a brilliant final day of this year's event, as he firstly swept past Dave Chisnall 11-4 in the semi-finals before edging out van Gerwen in a thrilling decider. Van Gerwen, meanwhile, overcame Peter Wright 11-6 with a brilliant 106 average as he finished 11 out of 13 darts at a double including his first eight without missing in a flawless opening as he took an 8-1 lead. 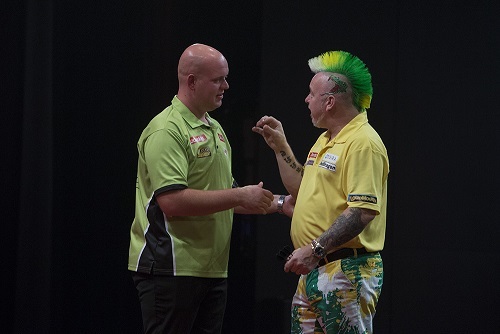 Wright took out 121 and 156 as he hit back to 8-4 with four perfect doubles of his own, but van Gerwen proved too strong as he held on for the win. The final proved a tighter affair as van Gerwen opened with a 180 in an 11-darter before seeing Taylor come from 2-1 down to lead 4-2 and 5-3. Van Gerwen then hit back with three legs of his own to move back ahead, landing a 104 checkout to edge 6-5 up and double eight to claim a 7-6 advantage. 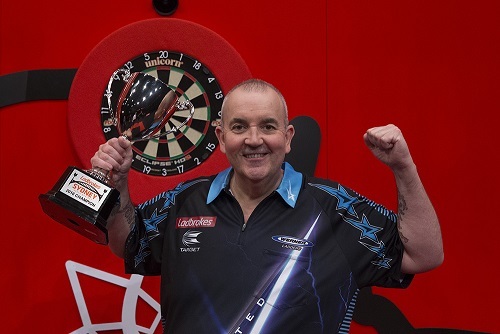 Taylor again found a surge, levelling with an 11-darter, finishing double eight, 68 and 90 as he moved into a 10-7 lead, and though van Gerwen landed 180s in the next two legs to cut the gap and keep his hopes alive, the reigning champion held on to seal victory with double 16. "This is brilliant and I'm so happy," said Taylor. "I thought it was a cracking final - I thought I had him and then he came back. I always get in front of him and he seems to come back at me, but I thought 'you're not going to get me this time'. That's the only way to beat Michael, by fighting and being aggressive. I'm going to pat myself on the back because it was a fantastic game. Sydney's been great this week - it's been fantastic at The Star and it's been perfect for me. I got my preparation right and I've got my darts right. I'd love to play here every week!" "I'm going to go for it and I'm on a high," admitted the 56-year-old. "I'm really looking forward to Perth and I want to carry this forward now. Michael been storming it and he's setting the bar, but he's in for a battle now and I'm after him. I'm not putting myself under pressure and whoever plays me now is going to have to play well to beat me." "Full credit to Phil, he had a fantastic tournament and the crowd saw a great final," said van Gerwen. "You can't afford to miss against Phil in this form and I tried to come back, but fair play to Phil because he was better than me tonight. I think I played well but I made a couple of little mistakes and if you're playing against Phil in this form he punishes you. I can only blame myself and you can't win all the time but it hurts. Last night I played fantastic and I feel great, and it's been a fantastic week here and I'll prepare for Perth now."